With FaxBurner, sending a fax is now as easy as sending an email. FaxBurner uses fax to email technology that allows your incoming faxes to be conveniently transformed into emails, using PDFs, as well stored on your mobile device. As many businesses today still recognize faxing as an important mode of business communication, fax to email technology ensures that your business has a truly global reach . 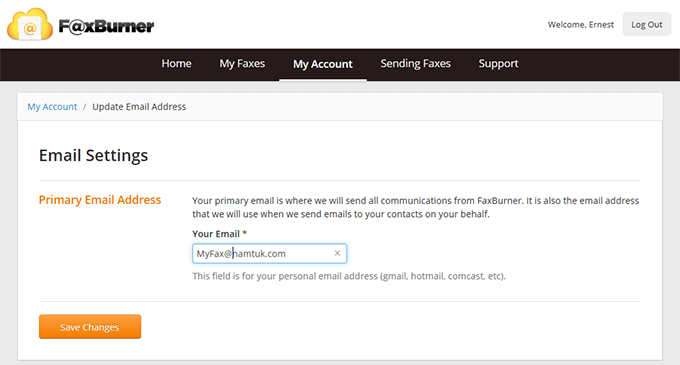 Sometimes you need to send a fax as confirmation or when you receive a specific email, it is easy with FaxBurner because you just need to send your fax in PDF format as email attachment, in the field "To:" type email send@faxburner.com, in the subject line enter the phone number you want to send the fax to. Note: The email must be sent from your email FaxBurner account in order for it to work. 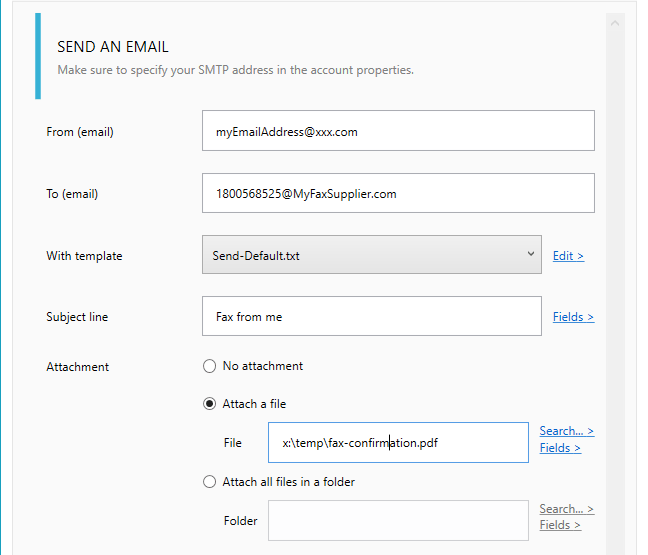 Here how to reply a fax: Add an action to reply email and define the fax file attachment, now each time a fax will be received, it will send a reply to the number you specified. You can contact us for more information on this setting » .